MacArthur Theatre Productions presented Once Upon a Mattress. 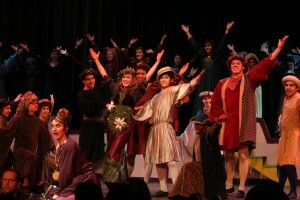 The musical is based off of the fairy tale The Princess and the Pea. What the audience didn’t see was the long and painful journey to be the best. Professional plays run rehearsals for a long time. 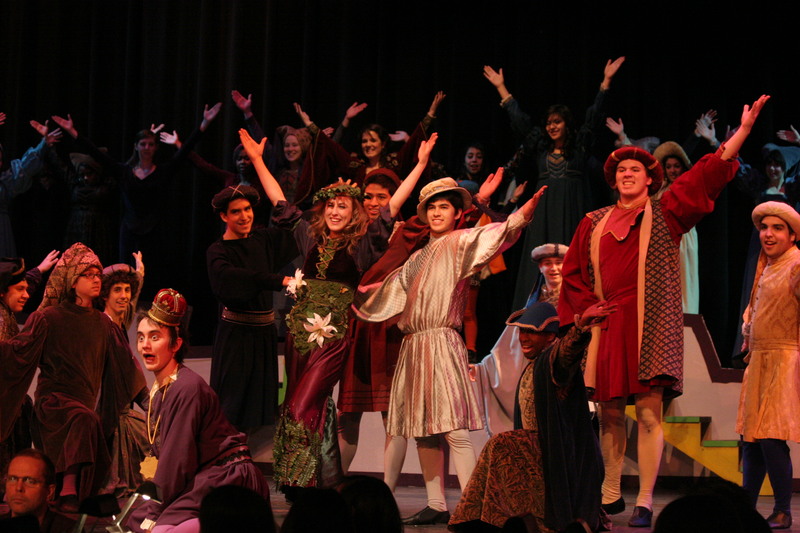 However, for a high school theatre department, time is limited. In addition, the cast members also have other obligations to attend to outside of musical rehearsals. Putting on a good show seems like it is all fun and games, but in reality, it is not like that at all. There are a few easy parts, though. “Compared to other musicals, this music is simple,” Mr. Woodward, choir director, said. Once the music is learned, the choreography gets added. On top of that comes the acting. You can’t act unless you put yourself in character, meaning that you become your character. In order to play the part correctly, the actor has to link their personality with their character’s. Even the minor characters need to be connected to the actors themselves. A ridiculous amount of time and effort is put into a production. People are up until all hours of the night doing homework and studying. The one thing keeping every actor or actress going is knowing how the final product will turn out. “It’s time consuming, but so much fun!” Crawford said. Theater Productions always have at least one upside. “Performing and being on stage is the best part,” McBroom said. Brahma News is the official news source for the MacArthur High School students and community.